Sonic Boom is a new branch of the Sonic the Hedgehog universe that is zooming onto TV and video game consoles this year, with all new adventures for everyone favorite blue hedgehog and his merry gang of anthropomorphic woodland friends. Tails, Knuckles, Amy and new pal Sticks are all there to get up to some super-fun mischief. Click here to see a Top Ten List of the most AMAZING Sonic the Hedgehog cakes you’ve ever seen! 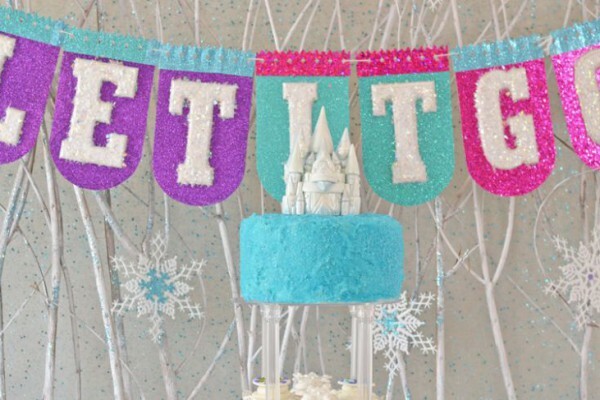 It’s sure to be a huge hit, and your little one is sure to love it. 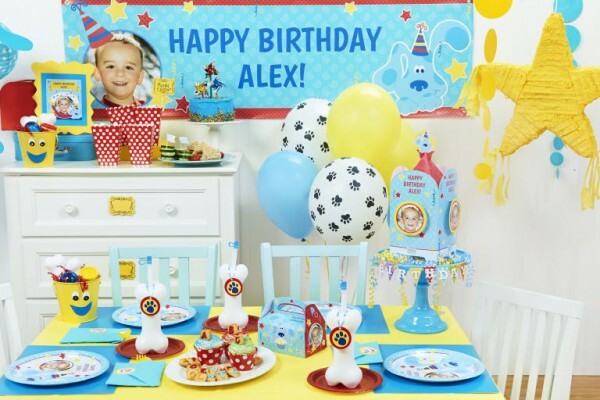 They might even ask for a Sonic Boom birthday party this year, and if that happens, BirthdayExpress has got you covered! 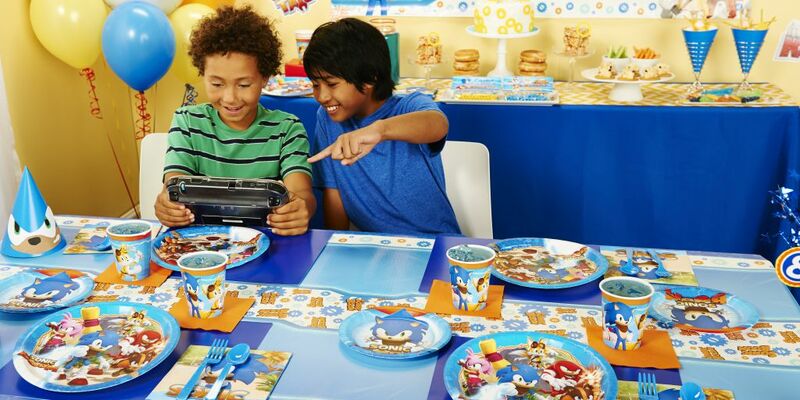 Get plates, napkins, cups and more in our Complete Party in a Box! 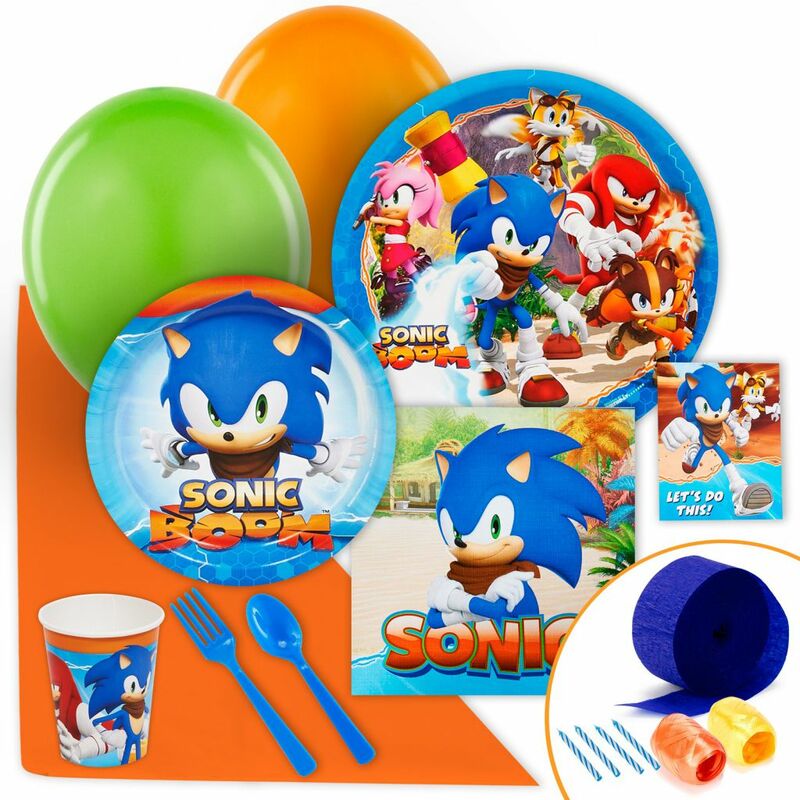 For smaller gatherings, get everything you see above in our Sonic Boom Express Value Party Pack. 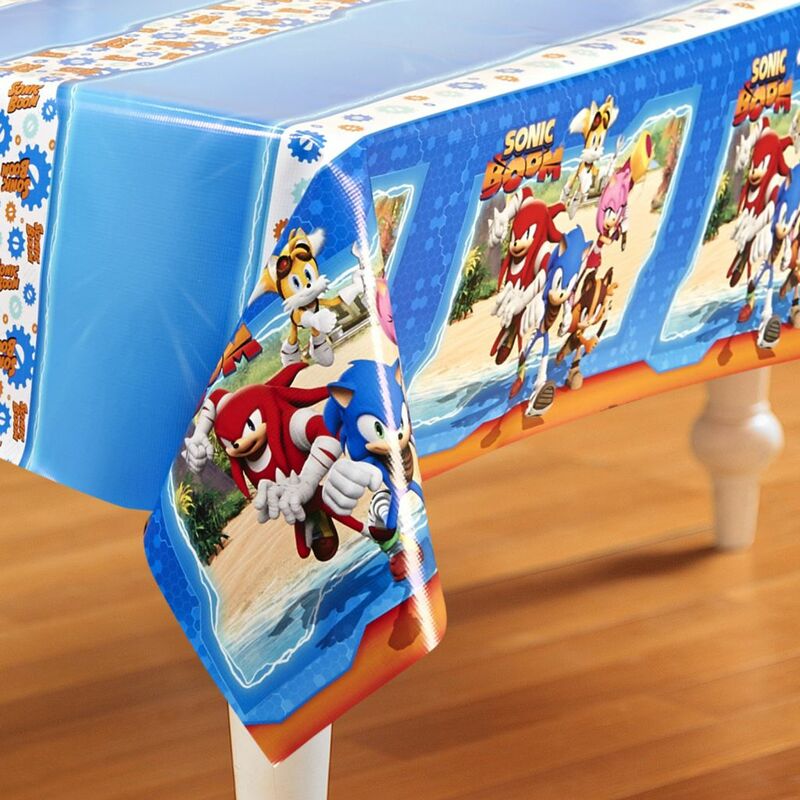 Make sure you include this fantastic Sonic Boom tablecover to tie everything together. 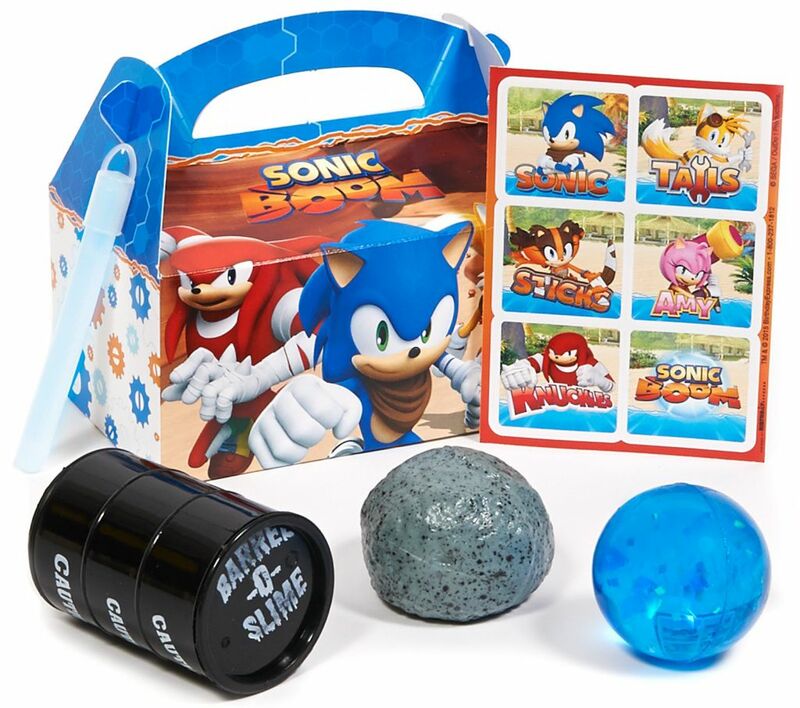 The birthday boy and his best friend are enthralled with all the goodies in our Sonic Boom favor box. 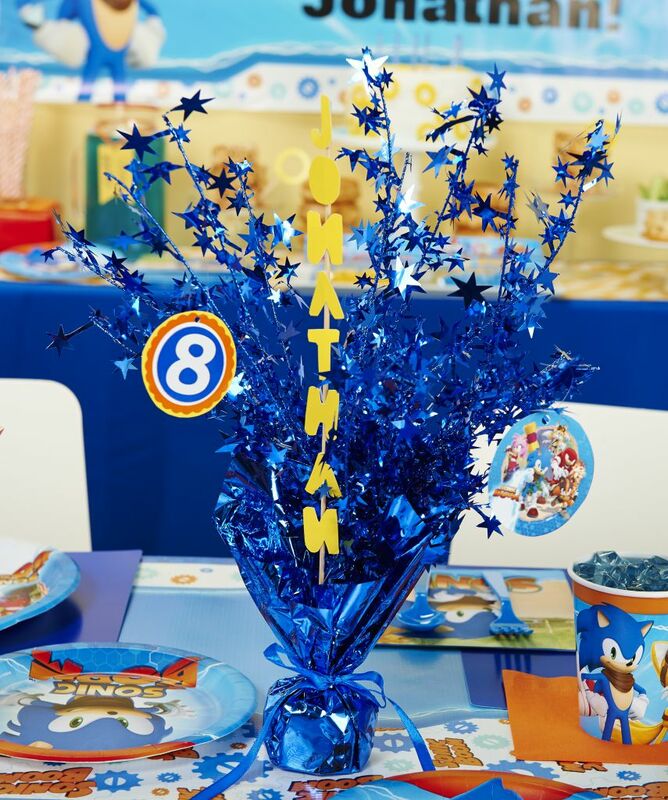 This Blue Foil Star Centerpiece has been DIY’d with the birthday boy’s name and age, utilizing construction paper and a thin wooden dowel. Now we come to the most important portion of the festivities: the snacks! We’ll start off with some blue punch or “Ocean Water.” Then we have some glazed donuts and some marshmallow treats made with Cheerios. Why Cheerios, you ask? 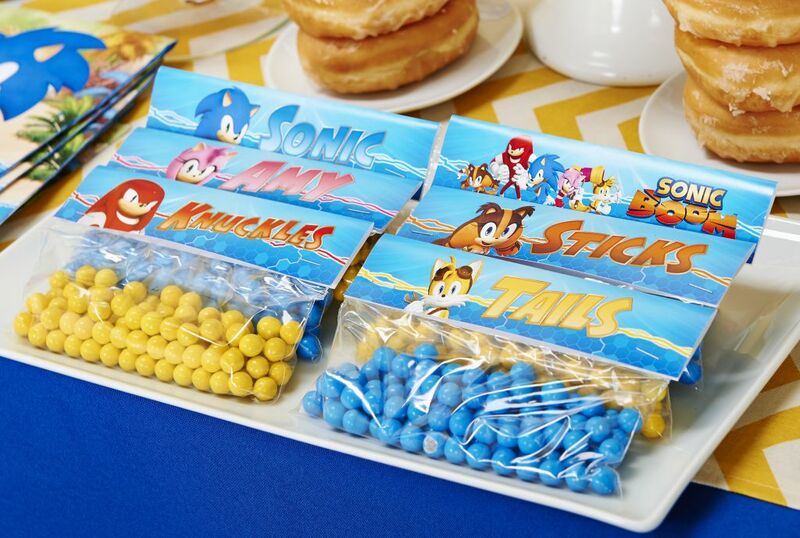 Well, as your child is undoubtedly aware, golden rings are the major form of currency in all of the Sonic games, so we made sure to include as many golden rings as we can in our menu. 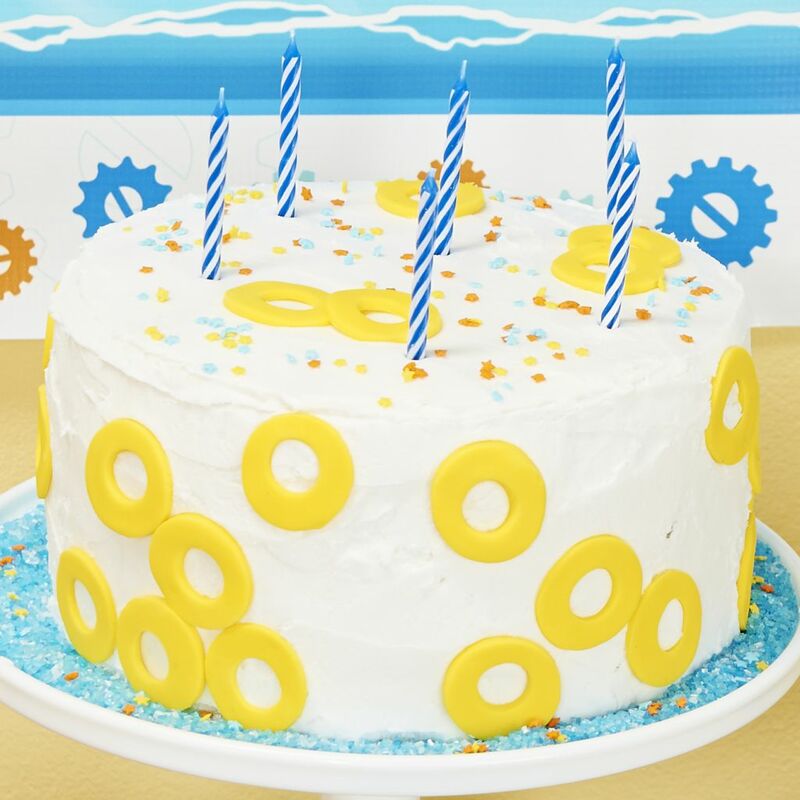 For instance, we added some golden rings to this cake, in the form of pinapple flavored gummis. 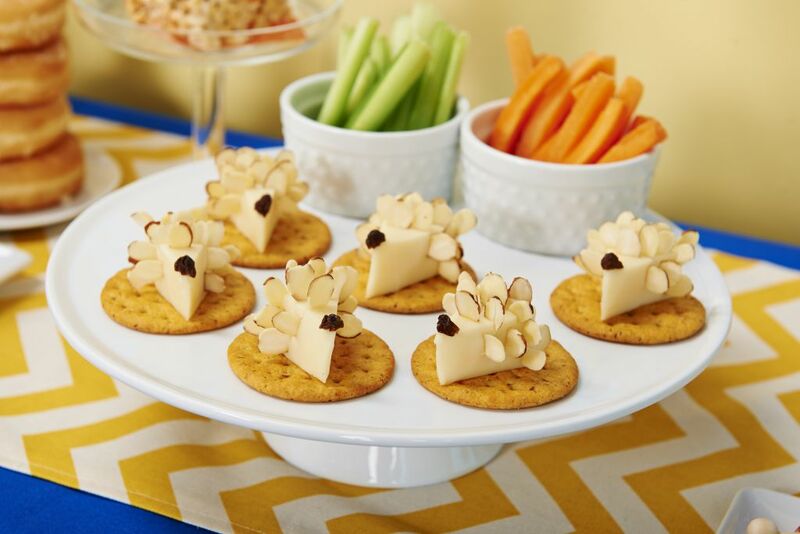 These little mini-hedgehogs are made with wedges of cheese, slivers of almonds and a raisin for the nose! 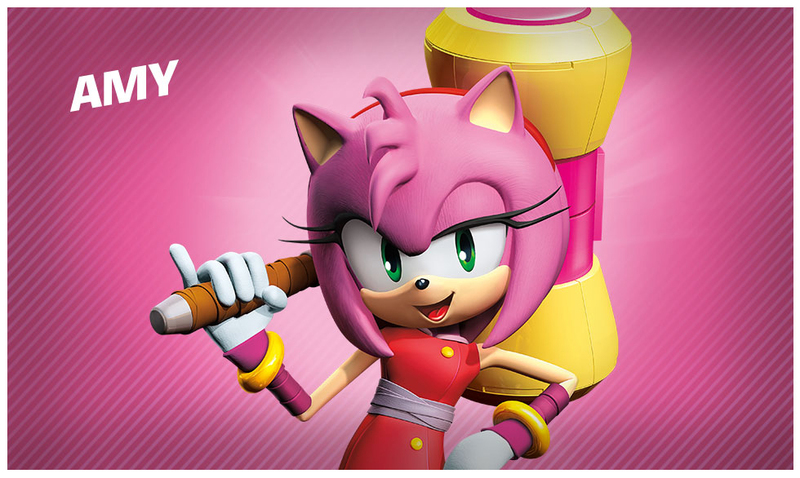 One of Sonic’s friends, the pink hedgehog Amy Rose, enjoys solving problems with her comically oversized hammer. So we’ve re-created her trademark hammer in snack form! These delectable delights are just marshmallows with the ends dipped in melted orange chocolate and stuck on a pretzel stick. Yummy! 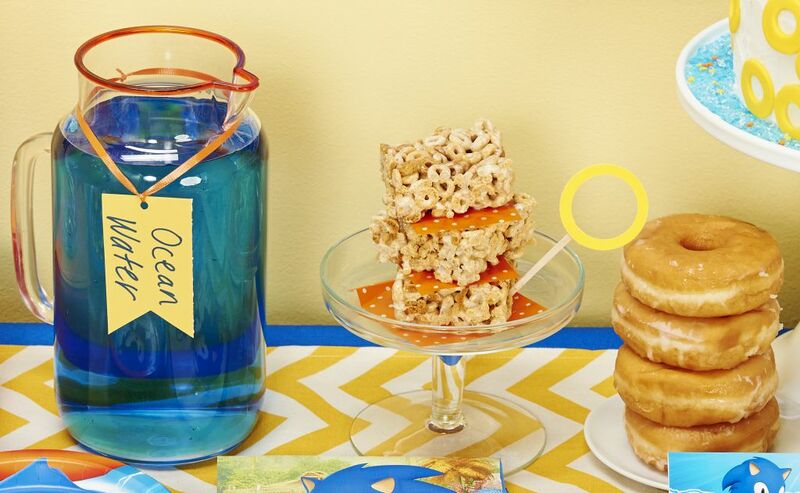 These rock candy sticks double as the all-important Chaos Emeralds (ask your kids!). 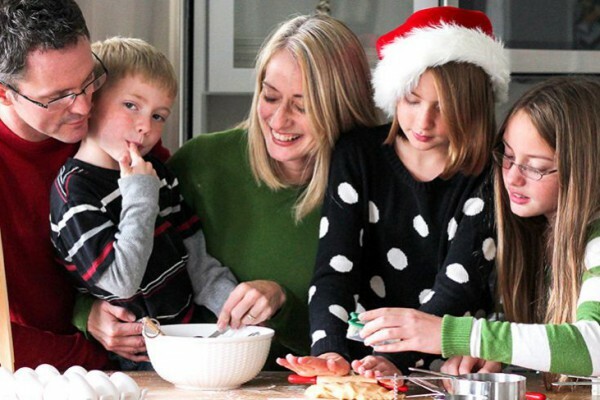 And here we have a special offer for you, too — some free printable snack tags! Click here to be able to download your free Sonic Boom printables! 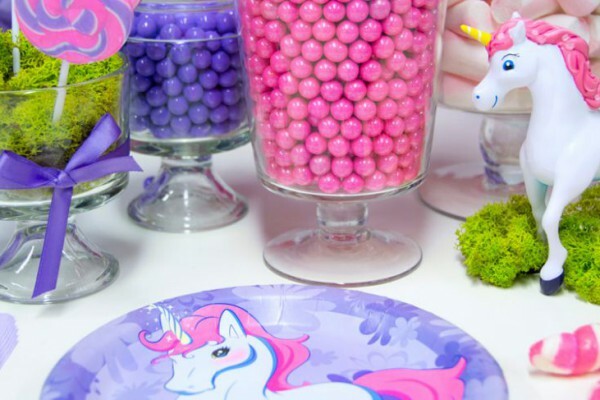 Just like you can’t have a party without the perfect snacks, you can’t have a party without balloons! 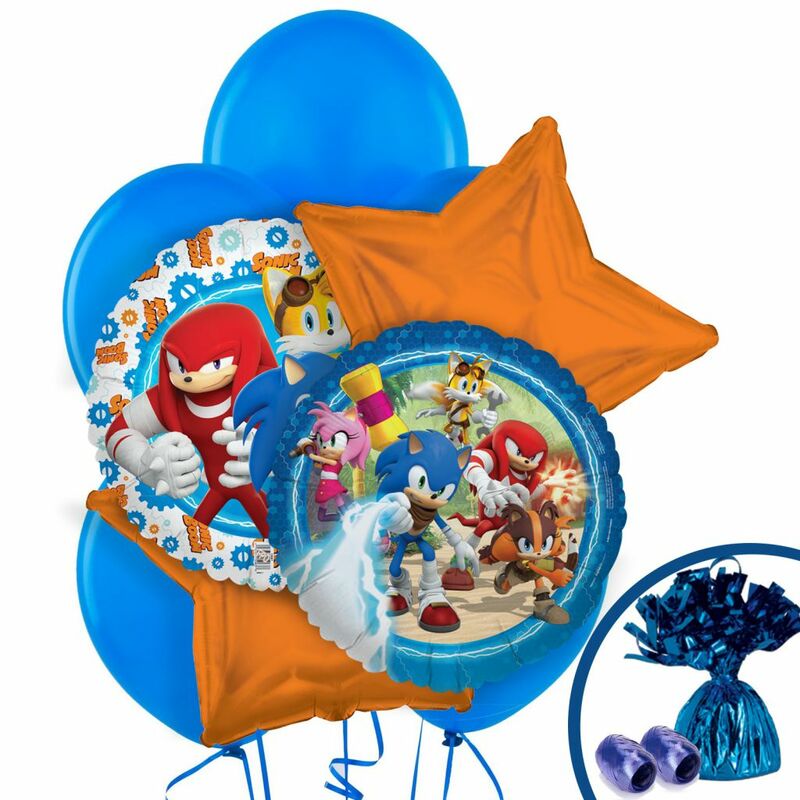 And if you’re looking for great balloons, get this fantastic Sonic Boom Balloon Bouquet! 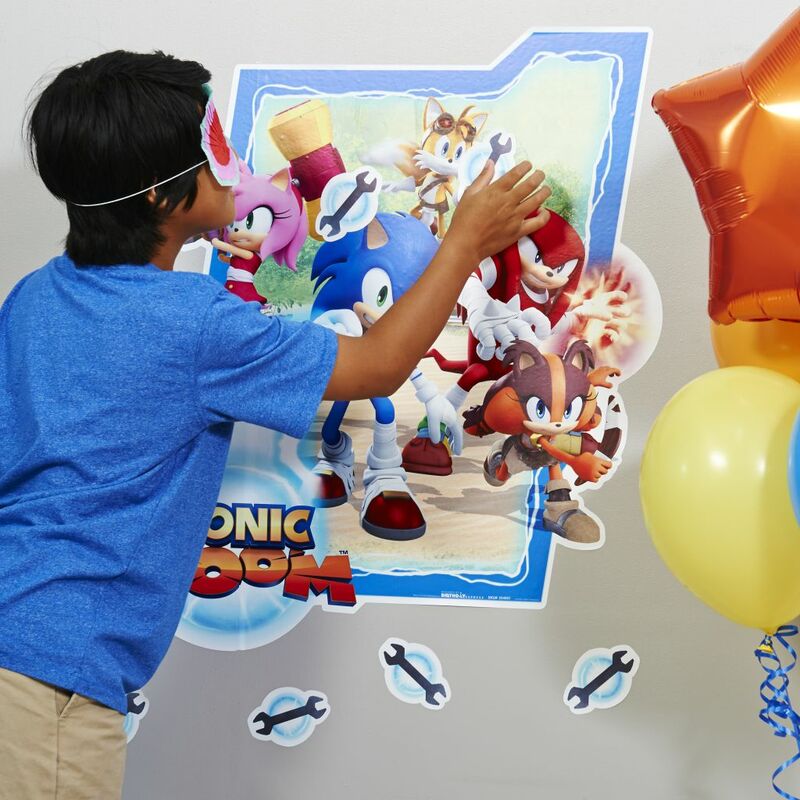 This Sonic Boom version of pin-the-tail-on-the-donkey is a party game that’s guaranteed to be a real crowd-pleaser! 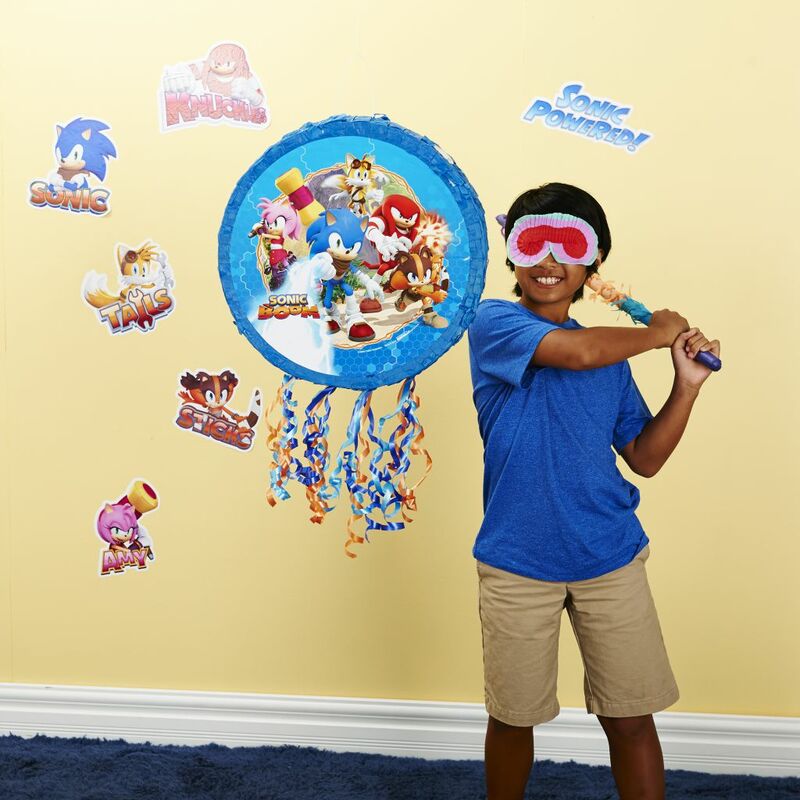 Get this awesome Sonic Boom pinata kit for when you want to turn your party into a real birthday bash! 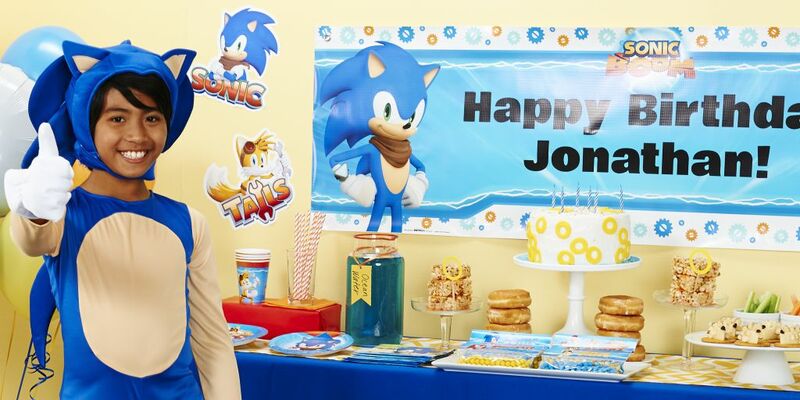 With a personalized birthday banner, a Sonic Boom wall decal set, and a super-cool Sonic costume, we know Jonathan enjoyed his Sonic Boom birthday party. 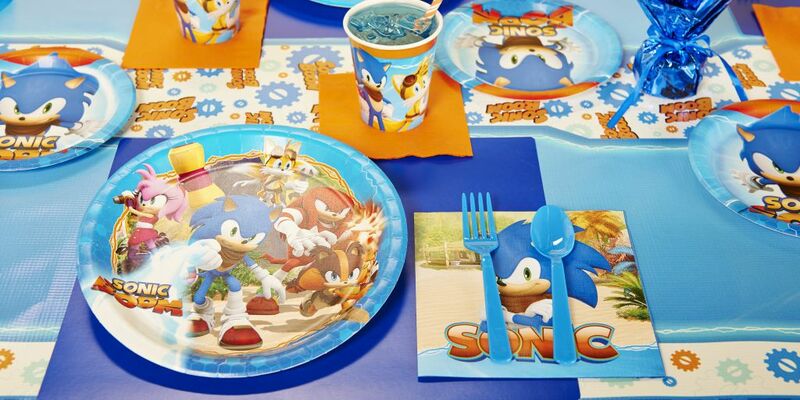 If your little one is as big a fan of Sonic Boom as Jonathan is, we know he or she will have a great birthday, too! 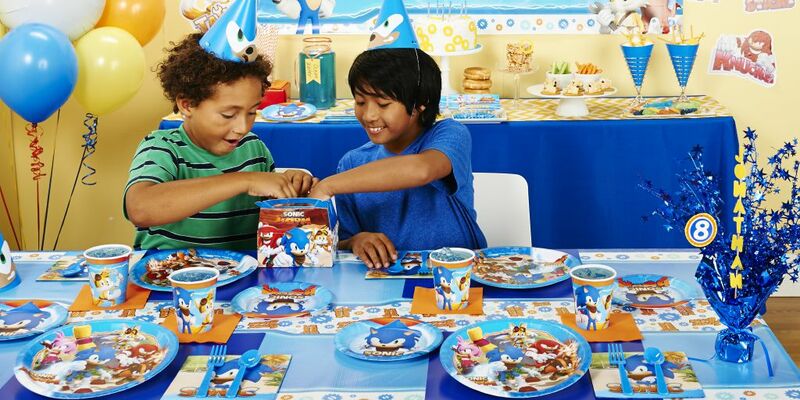 Have we inspired you to throw a totally awesome Sonic Boom birthday party?